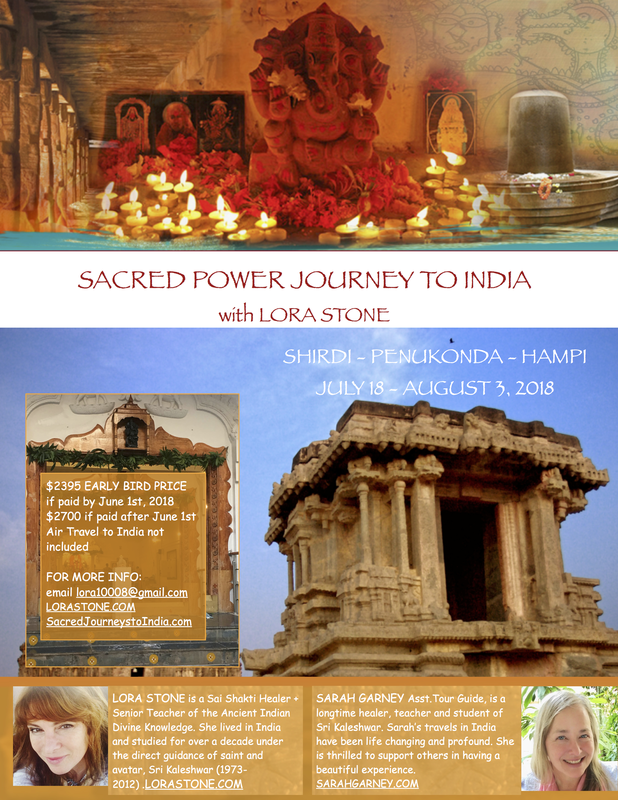 Experience the beauty and power of Spiritual India on a sacred journey with Lora Stone, senior student of Saint and Avatar, Sri Kaleshwar (1973 – 2012) of Penukonda, South India. Lora will be assisted on the tour by Sarah Garney. Together, they will support you to have a deep power journey straight into the heart of spiritual India. 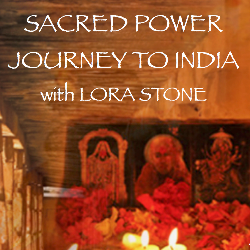 This is an experiential journey with a focus on meditation and the ancient Indian Divine knowledge. Daily Satsangs, Group Meditations, Shaktipat, will all be included along with time to explore, relax and journal. India is the Motherland or 'Grandparent' of the planet. All of the ancient formulas originated in India and were carried to other civilizations. In ancient times, visitors used to get out of their boats and pranam and literally kiss the earth when they landed on the Indian shores. India has retained its ancient culture and the ancient traditions are alive and practiced daily all over India. There are many natural and cultivated power spots in India, including extremely highly charged temples, Shiva lingams, and other amazing spiritual treasures. India is the land of the supernatural. It is also a land to train you and test you, always teaching the visitor patience, opening the mind and heart up to something completely different from the western culture. If you come to India with an open heart and patience - you cannot imagine the gifts you will receive. 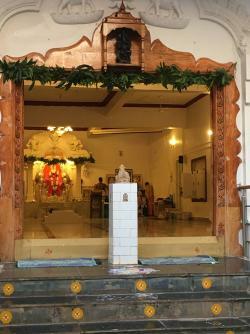 We begin our journey in Shirdi in Maharastra state in the North, where we will spend four days connecting with and having darshan of Shirdi Sai Baba’s living statue and mahasamadhi (place of his burial). We will meditate in Baba's dwarkamai where Baba lived in Shirdi, and we will meditate by Baba's power spot where four flames are still burning deep underground, underneath the famous neem tree. 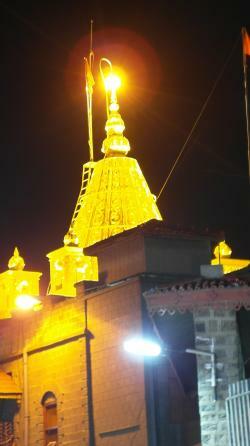 Shirdi is a mecca for spiritual pilgrims and everyone is so happy to "be there with Baba." It has incredible nuance and fragrance, giving the western visitor a true experience of Indian devotion and bliss. An amazing saint and avatar, and an incarnation of Shiva, Shirdi Sai Baba (@1840-1918) was a genius at playing with the illusions. He showed himself as a fakir/beggar but was really a kabir/king. He constantly tested his devotees for their own growth. He washed the karmas of his devotees through their offerings to him of money, food and their open hearted service. Shirdi Baba was and is omniscient. He knows the thoughts and feelings of all his devotees which measure in the hundreds of millions around the globe. His popularity continues to grow exponentially since his Mahasamadhi one hundred years ago. Everyone knows about Baba in India. During his life and afterwards, Baba performed/performs unbelievable miracles, always to lift up the people. If a devotee thinks on Baba in a moment of distress, and calls on him, he will always respond. Shirdi Sai Baba was Sri Kaleshwar’s master for many many lifetimes. He is filled with unconditional love and humility and simultaneously is the ultimate protector/Shiva energy. While in Shirdi, we will take a day trip to the Ellora Caves and the Grineshwara Jyotir lingam. Next we fly to Bangalore and travel by van to Sri Kaleshwar’s ashram, Shiva Sai Mandir in Penukonda, South India. We will all participate in a four day Guru Purnima program and have time to meditate in the gardens and temples as well as the opportunity to make a power spot. 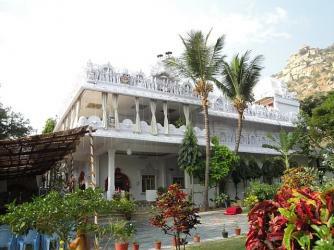 The ashram of Swami Kaleshwar is an ancient power spot, dating back 18,000 years. It has been the home to thousands and thousands of rishis and maharishis over millenia. The land has excellent Vaastu, a special mountain that contains temples within, no longer accessible, and many other mysterious and supernatural attributes. Sri Kaleshwar called his ashram the 'Divine Mystery Fort.' 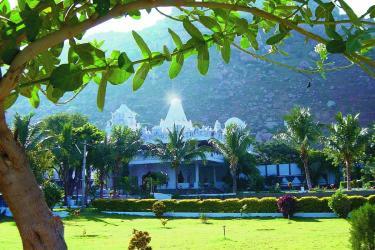 The earth vibrates extremely high in Penukonda and especially at Swami Kaleshwar's ashram. Swami Kaleshwar used to say that meditating in Penukonda for a few hours was equal to thousands of hours of meditation in a “normal” non-powerspot place. It’s very auspicious to be at the ashram for Guru Purnima. Guru Purnima is the full moon of the guru that occurs once a year in July. It is a special timing and there is more opening than usual to access the divine cosmic energies. If your heart is open to your guru, the sky is the limit for what can happen at this timing. The benefits of walking and meditating on this sacred land and connecting to Swami’s samadhi are numerous. Walking on the land automatically decharges and recharges your soul with high divine cosmic energy. Your meditations are expanded and during your sleep, a lot of healing is happening. You can really enter the deep deep inner silence and bliss there and even people who don’t think they can meditate, will fall into trance on this sacred land. 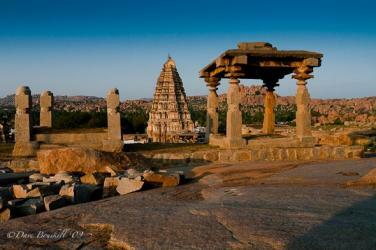 Hampi is the next destination for our journey. The ruins in Hampi are the remains of Krishnadevaraya’s kingdom from the 16th century – He was the last king of the Vijayanagar empire. His armies lost to the invading troops from the north. Krishnadevaraya was the richest king in the world at the time and there are published journals from Portugese explorers who visited Hampi and were awed by the wealth and wrote down their experiences. The intricate temples, and buildings were built by Krishnadeveraya and his famous family dynasty. Krishnadevaraya lost interest in his kingdom and turned to spirituality, one part why they lost to the invading tribes. There is one very important Shiva lingam, the Bhadava lingam, that was completely protected from any destruction and will be protected throughout time. Sri Kaleshwar took his students to Hampi many times, leading spiritual processes also involving the Bhadava lingam – and connecting that energy to Penukonda. Hampi was always a beautiful place to go and relax and meditate on the river. We will tour the ruins, meditate by the Badhava lingam and the river, go on walks, relax and digest our experiences together. The program will end in Bangalore. We will drive back the morning of the 3rd and share a beautiful meal before everyone catches their flights - Of course people can stay longer on their own if they wish.